Combining pulsating city life with your tranquil historical home, this renovated residential building delivers contemporary urban living to Dulovo Námestie in Ružinov. This desirable city part is popular due to easy accessibility and its ample green space. PARI’s pleasant environment is the perfect place to live, full of opportunities and convenience. Discover the address of your dreams. You’re just minutes away from the city centre and major transport links thanks to PARI’s excellent location and public transport connections. Nearby shopping centres, restaurants and cafés make Dulovo Námestie a lively and convenient place to live. A popular Bratislava neighbourhood with diverse free-time opportunities – the nearby Danube promenade and numerous parks are great places for rest and activities. PARI respects the site’s history of the site and its landmark feature, Bratislava’s former Cvernová Factory that is incorporated into the development. ZWIRN will be a new vibrant district connecting the site’s history with new and contemporary architecture that features the functional integration of the Spinning Mill national heritage landmark. The flats in PARI are part of this new district. Our flats ensure your comfort and convenience through efficiently designed space. 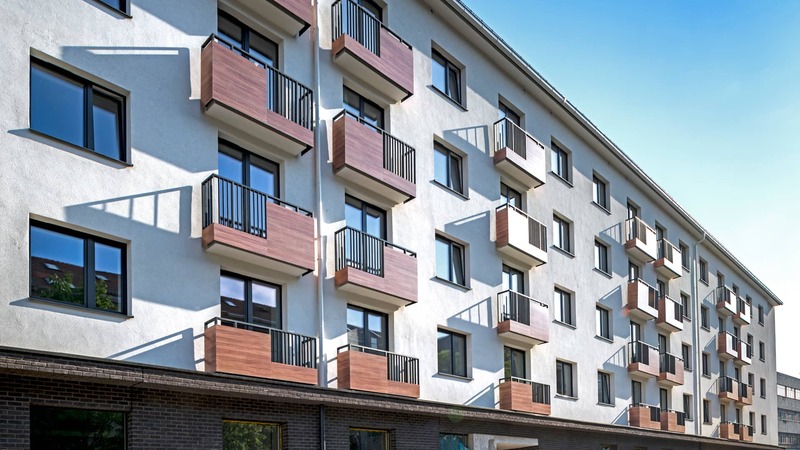 Flats are furnished to a high standard using renowned suppliers - numerous variations and colour options and above-standard furnishings can be selected. PARI meets the highest requirements for stylish contemporary living. Practicality is key for a harmonious urban living. Keep essentials at hand in your flat, and use your handy basement storage area for occasional items.